As it stands, bureaucracy and lack of government accountability are some of China’s greatest barriers to achieving sustainable urban mobility. Photo by Jonathan/Flickr. China’s top-down system of decision-making has been the root of many transformative changes in the past. So why has it recently been so hard to rally city leaders behind low-carbon transport? The answer has two sides: institutional complexity and lack of political will. While local development and reform commissions have the authority to set low-carbon goals for a city, the responsibility for actually formulating and implementing policy changes is in the hands of planning bureaus, land development bureaus, construction bureaus, transport commissions, and police departments. This means that proposals for low-carbon transport development often get stuck in gridlock. Departments remain isolated from one another, tasks are ambiguously divided among different government agencies, and no one is ultimately held accountable for making sure that ideas become reality. The result is that city governments end up continuing business as usual without making progress towards low-carbon urban mobility. The need for institutional reform is urgent, given the rapidly evolving landscape of China’s urban transport sector. Today’s institutional structure was formed at a time when the country’s mobility needs and transport infrastructure looked very different. However, this bureaucratic structure is now undermining local governments’ ability to deliver effective, sustainable transport solutions to the pressing issues of traffic congestion, air pollution, and road safety. Although reform is important for making progress, integrating various institutions under one department—often proposed as a solution—may not prove as effective as imagined. It could even cause city leaders to overlook other factors that are equally vital for building an effective, low-carbon transport system. Institutional challenges are typically more complicated than fragmentation alone. Indeed, urban transport administrations in China are fragmented along spatial, functional, and sectoral lines. Enforcing parking laws, for example, involves traffic police, construction bureaus, transport commissions, and city management bureaus. However, the system of Metropolitan Planning Organizations seen in the United States demonstrates that a fragmented institutional model can function well with proper coordination. Furthermore, integration can bring its own host of unique problems: potential abuses of power, internal inefficiencies, and increased operational overhead costs. Overemphasizing the role of an integrated urban transport institution leaves city leaders vulnerable to overlooking other factors necessary for effective policy-making, like the need for robust data. Moreover, integrated institutions can still be constrained by limited funding, impacting their ability to collaborate across agencies and hold different government actors accountable. Although some of China’s largest cities—like Shenzhen, Beijing, and Chengdu—have already begun exploring various ways to approach institutional reform, the results have been mixed. Even where there is strong political will, reform efforts have faced resistance from vested interests and have taken years to achieve the goals they set out to accomplish. Strategic alignment: The responsibilities of new urban transport institutions should align with the city’s visions for low-carbon urban transport development. Informed decision-making: Conventional urban transport decision-making in Chinese cities is usually governed by a small group of decision-makers who have limited information. Establishing advisory committees, setting up research centers in collaboration with local universities, encouraging healthy competition among different research centers, promoting information sharing, and setting up policy monitoring and evaluation mechanisms are important measures for improving the decision-making process. Coordination: No matter how integrated an urban transport authority is, nothing will change if traffic police and planning bureaus are reluctant to work with authorities. Advisory committees and regular meetings can help top decision-makers engage in productive dialogue and be unified in their approach to policy design and implementation. Accountability: The working paper suggests greater transparency in the decision-making process and a long-term transition to bottom-up public participation in order to avoid potential abuses of power and ensure accountability. Financial empowerment: Financial independence is essential for empowering transport authorities to carry out its new responsibilities effectively. Possible new funding sources such as municipal bonds, authorized fees or taxes, land value capture, and private investments through public-private partnerships can help cities in financial distress. Talent management: By proactively seeking out new talented employees, building capacity, and creating an attractive working environment, city governments can ensure smooth transitions and capture the full benefits of institutional reform. 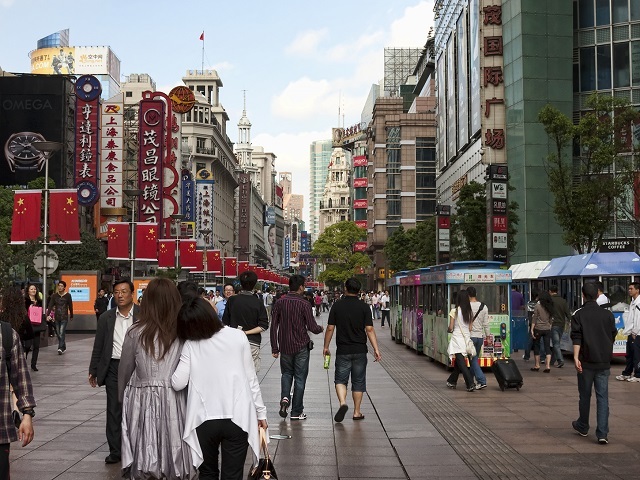 City governments are struggling to keep up with China’s rapid urbanization and have faced structural challenges to meeting the growing urban population’s mobility needs. Institutional reform can address these bureaucratic obstacles to help make sustainable transport a reality. Learn more in the Shaping up Sustainable Transport Authorities in Chinese Cities working paper from WRI China.